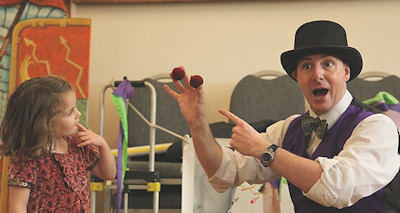 Premier Magic & Circus Entertainer for 3-100 year olds in Worthing! 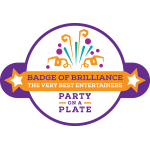 Over 3,500 children's parties to date! "They loved it! And it was so calm!" Give your child a party they will still remember when they are 45 years old! Juggling John is a children's party entertainer for Worthing, a children's party magician and birthday party clown and juggler. 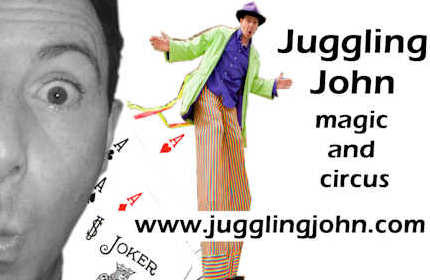 Worthing children's entertainer Juggling John provides a variety of different shows and performance styles tailored for different age groups. He brings juggling, magic, clown and circus to your children's party. He is fully police checked and insured and is a member of Equity. Because of his huge experience of children's parties there is very little that Juggling John has not come across in terms of children's birthday party guests. He is thus able to to tailor each show to the right level for your particular age group. He is also particularly adept at performing to a multi-generational crowd at events such as street parties, church fetes, school fairs, big family celebration parties and the like. He is a specialist children's entertainer and is sure to be be able to provide unforgettable children's entertainment for your event or party in Worthing! Doing advance publicity with ITN's Nina Hossain and Julian Huppert MP for the 2014 Parliamenary Pancake Race.